The Polka Theatre began life in 1967 as a touring puppet company. It opened on 20th November 1979 with a gala performance attended by The Queen Mother. The theatre houses two spaces; the main theatre and the Adventure Theatre (a studio). 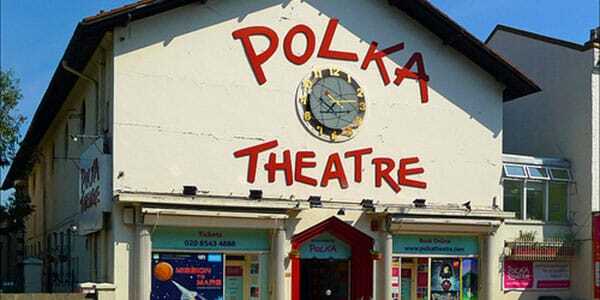 By 1983, the theatre was producing theatrical works aimed at the very young (under 5), this developed into the Polka’s Early Years programme, which is aimed for children as young as 6 months, bringing them into a stimulating and colourful environment to engage in storytelling. The theatre embraces family learning, providing summer schools and clubs to teach children a vast range of performance skills, as well as providing workshops and talks for schools. The Polka is the most foremost venue for theatre aimed at 0-13 year-olds, and over 100,000 children visit it a year.